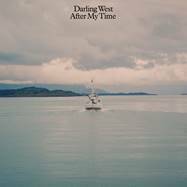 Popdose Exclusive Video Premiere: Darling West, "After My Time"
The last twelve months of Darling West’s musical career can hardly be described as anything less than fantastic. Since the release of their second album, Vinyl and a Heartache, they have played concerts all over the world, been listed on the biggest radio channels in Norway and appeared on the Top 100 Country charts in the U.S.; they’ve been played more than two and a half million times on Spotify, been booked to the biggest festivals in Norway and Americanafest in Nashville and won a Norwegian Grammy. Despite all this, the band have no plans of resting on their acquired laurels, and now they’re releasing two songs from the album they plan to issue in early 2018. They haven’t changed their style during the last year, but you could still hear a new and revitalized Darling West. The band are still playing their sweet Americana/country/folk, but there’s a lot more drive in the music and the melodies are catchier than before. The first taste of their forthcoming album are the singles “While I Was Asleep” and “After My Time.” And the video for “After My Time” is now here – for you to view and listen to as a Popdose exclusive premiere. As mentioned above, the last twelve months have been pretty great for Darling West, but there’s nothing that indicates that the next twelve won’t be even better.